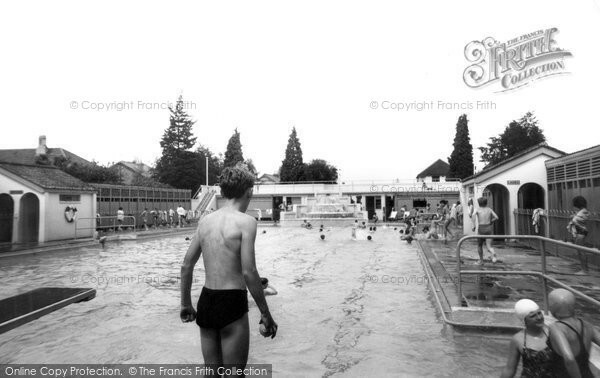 Ashford Open Air Swimming Pool - a Memory of Ashford. I was born in ashford in 1953, lived there until 1973, went to the open air pool as soon as I was allowed, during the school summer holidays they ran a morning, afternoon and early evening session, and we made sure we went to every one, every day, it was a fabulous place, although we didn't realise just how lucky we were until it closed down ( had to use Staines indoor pool instead). At the back of the pool there used to be a small shop built on a bridge over a stream, where you could buy steaming cups of hot bovril, essential on a cold evening session! Any pools like this still in existence are now fashionable lidos, and are highly valued. The site is now a housing estate. A memory shared by David Kerr on Aug 30th, 2014. Send David Kerr a message. I was also born in Ashford in 1953. I had swimming lessons here each week, walking from the Girls Grammar. I sneaked of early to catch the bus at the bus station back to Brook where we lived.